Pearl comes to the front door of our house every evening to come in for the night . 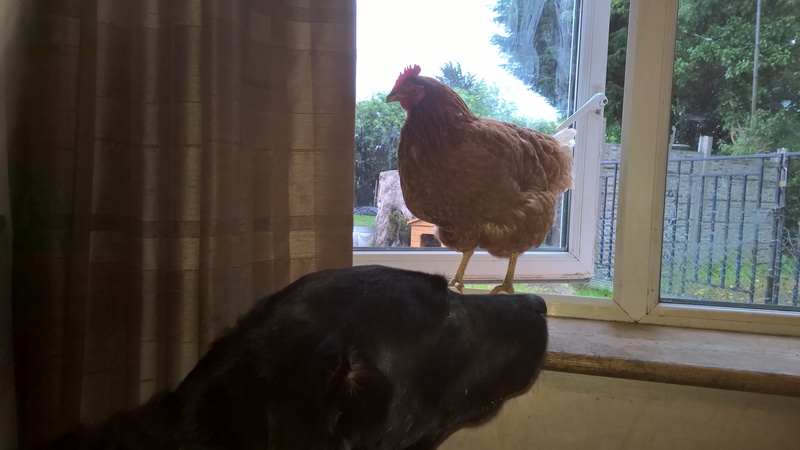 If we dont see her quickly she goes to the window and starts pecking at the glass so as we can hear her to let her in for the night . Precious Pearl she is wonderful. Previous postBack into Daylight Animal Sanctuary .We employed these two to prune some hedges . Do think that they are doing a good job. Karina and Will hard at work even on a hot day.